There are so many great things to love about Long Island. New York has incredible food, so much to do, and some truly outstanding views. My favorite thing about this magical place though isn’t any of those things. It’s my family. Every morning when I get up, I can hear my aunts downstairs in the kitchen. I love to listen to the two of them talking about their plans for the day or where they should go to pick us sleepy girls up some breakfast. My favorite times, though, are when Grandma Rose is over too. You see, Grandma Rose isn’t my actual grandmother. My maternal grandmother passed away when I was little and she just kind of took over from there. There was never any discussion. I was one of “Grandma’s Girls” and she would happily tell anyone who asked. I do the same for her. Who is that woman? She is my grandma and she’s about to ask you if if she can make you a “nice sauce” to take with you on your two-day roadtrip back to Texas. This recipe isn’t hers, although I hope to be re-creating some of her creations when I get back from my trip. It is just a recipe that reminds me of my Italian heritage and the immense love I get from my family, blood-related and otherwise. 1. In a large skillet, heat EVOO and cook beef until it browns. 2. Add in garlic and onions and cook until they brown as well. 3. When the onion and beef mixture is cooked, add in crushed tomatoes, basil, oregano, salt and pepper. Cover the skillet with a lid and cook for 30 minutes. 4. 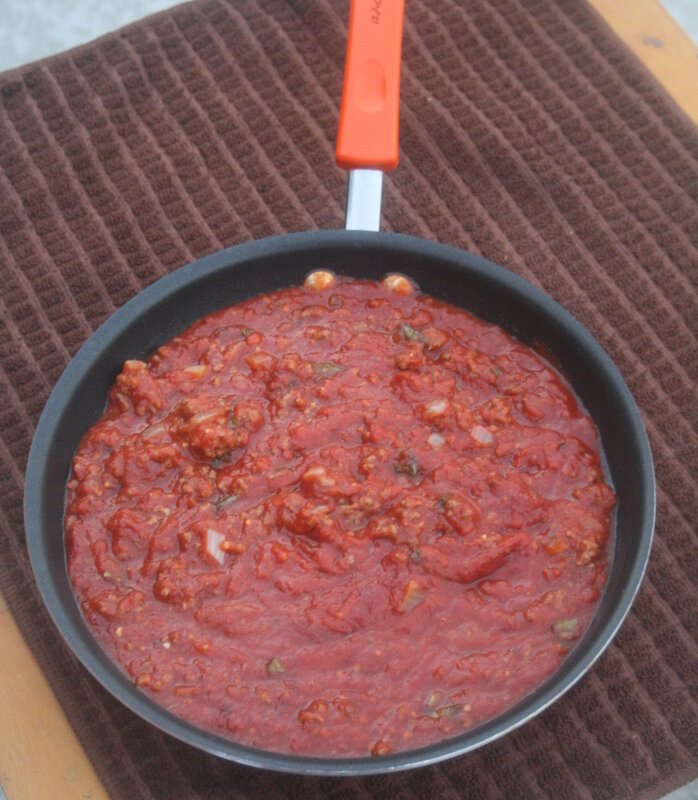 Remove the lid and add in the tomato paste and the sugar. Mix until the paste is no longer visible. Replace the cover and let the sauce simmer for two hours. 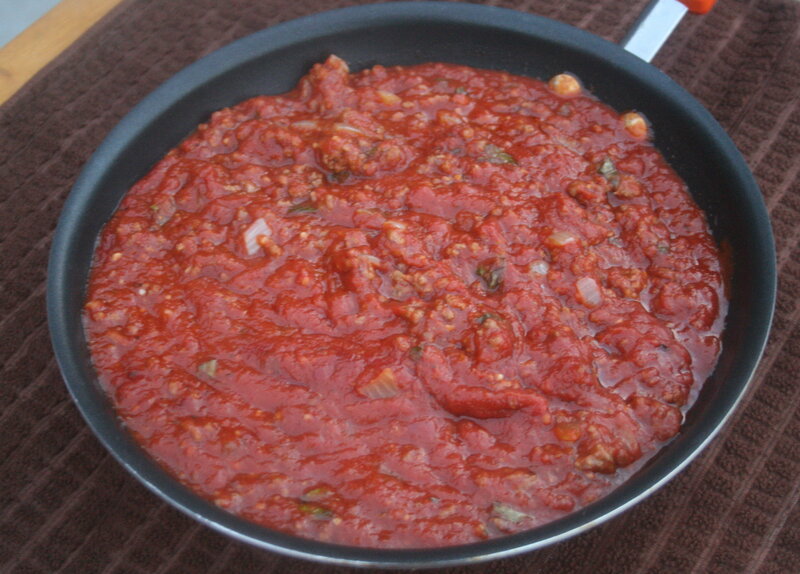 This entry was posted in Main Dishes and tagged beef, italian, marinara, pasta, sauce. Bookmark the permalink.